At Ronan Kelly Motors in the Western Ind Est D 12.
we provide a fast reliable service to all makes of cars and vans. From fault finding to servicing, gearboxes, clutches, pre-NCT checks and general auto repair work (wheel balancing, hands free mobile phone car kits and much more). Please check out our blogs on this site, we've loads of tips and info on repair jobs, that have been carried out. With over twenty five years experience in the motor industry working on all the major Car Brands like. (Audi, VW, Mazda, Mercedes, Opel, Renault and Ford Specialist). we have a fully equipped workshop with customer friendly staff. We offer great value for money and a garage that you can trust and rely on for all your motoring needs. We offer very competitive rates , great backup service and special offers. Contact Us now to get a quote or book your next service. there's very little that Ronan can't fix. Ronan was born and reared in Walkinstown. Went to the assumption school, then Drimnagh Castle and on to Greenhills college.Got an apprenticeship with Belgard motors.Worked in several main dealers, for VW/Audi, Mazda, Renault, Citroen, Ford. 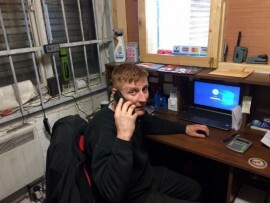 Then In 2009 Ronan set up his own garage, he has accumulated a lot of experience to date, in fact every day a new fault or problem comes through those garage doors, it's Ronan's attention to detail and analytical skills that sorts out all those problems. 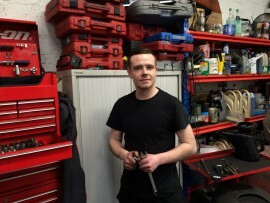 James looks after all general repairs, specializing in servicing, engine diagnostic, NCT failures, brakes etc.